As Canada's only milk paint manufacturer, we continue the tradition of our past with historical colours now with the addition of 30 brand new milk paint colours with softer and lighter palettes for your walls! With the expansion of our new milk paint products such as milk paint bond, there are now even more uses for milk paint such as previously painted walls, varnished surfaces, ceramic etc. 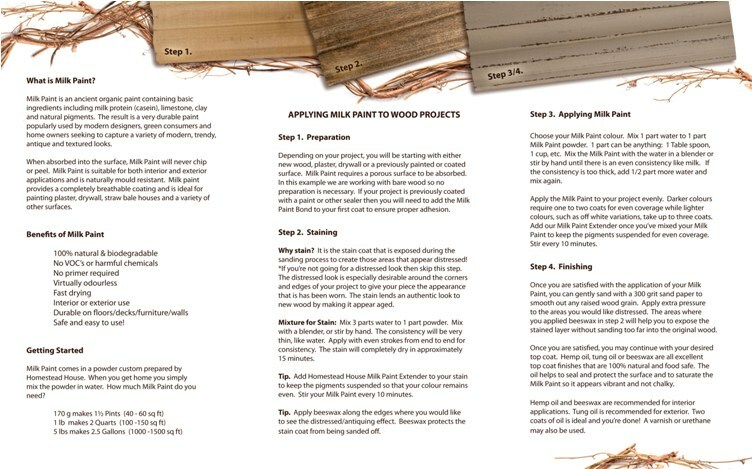 Milk Paint workshops now available! Want to learn how to create beautiful antiqued finishes with our all natural milk paints? 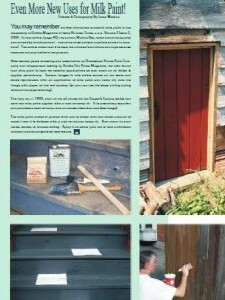 Learn the intricacies of this traditional paint with our experts at Homestead House in Toronto. 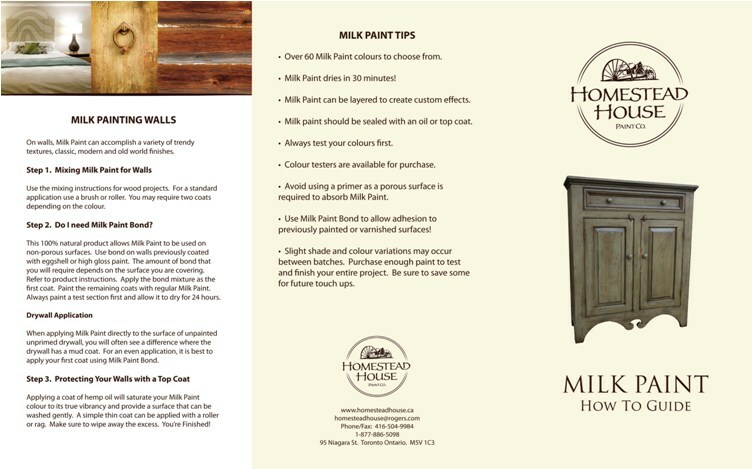 Whether you are looking to make a reproduction antique, or wanting to learn how to paint your walls, sign up for a Milk Paint workshop! For more info and dates please see Our Services page for more information!